Enjoy summer in the comfort of deep seating and relax in the Sydney 4pc Conversation Set. This set includes 2 full size club chairs, 1 loveseat and 1 coffee table. The legs of the chairs and the coffee table are constructed of recycled FSC Teak. The sturdy aluminum frame of the chairs is covered with resin wicker with a natural feel and a natural look. The thick cushions, both comfortable and durable, are made of UV-resistant Dralon fabric.Although highly resistant to weathering, when left outside, Teak furniture will gradually alter to a silvery grey color. In order to maintain its original color and prevent small cracks from starting to appear, it is important to periodically clean the wood surface with warm soapy water and to apply a good-quality outdoor furniture oil (ideally twice a year). With the proper care and maintenance, Teak outdoor furniture will provide many years of enjoyment! 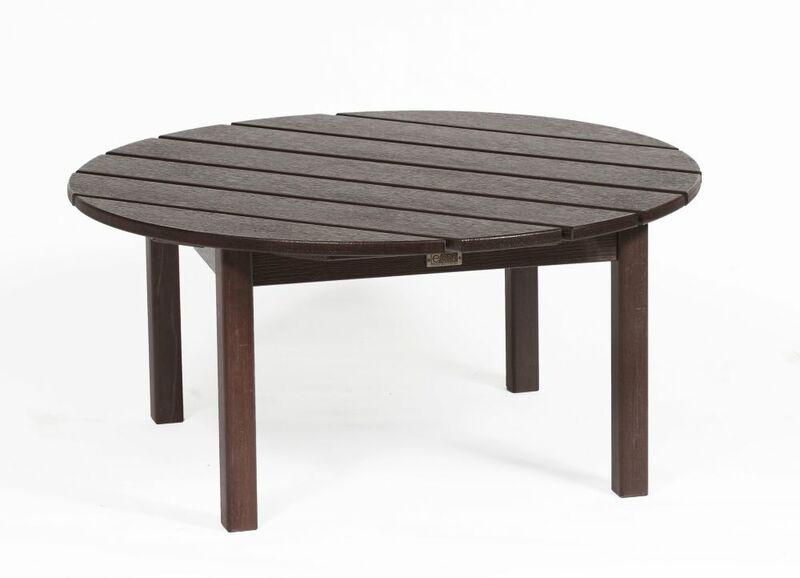 Deep Seating Patio Conversation Set in Espresso The Eon Deep Seating Collection truly delivers lasting natural beauty. Crafted from an innovative all-season resin that boasts incredible fading and weathering performance, Eon's premium products maintain their beautiful, natural wood-like appearance over their very long lives.. Eon technology eliminates the frustrations associated with sanding, staining and painting. Eon is one of the finest alternatives to wood available on the market today. This beautiful Deep Seating collection is comfortable and durable and designed for easy assembly. To further compliment these beautiful chairs, Eon also offers a matching side table, a variety of coffee and conversation tables and ottoman. Available in 3 amazing finishes: Teak, Espresso and White. Our cushions are made from genuine Sunbrella fabric in our own factory and are specifically designed for extraordinary comfort and beauty.